TDS Job fair July 30th! 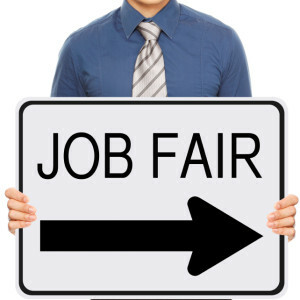 We’re offering a rare opportunity to “pass Go” and collect $1,000—come to the TDS Job Fair on Wednesday, July 30th, from 3:00-7:00 p.m. at 525 Junction Road in Madison, Wis. We’re looking for motivated, experienced sales people to join our Customer Sales team. If you’re qualified, you’ll get an on-site interview—even better, we’re offering a $1,000 signing bonus and you’ll get health insurance that starts when you do! Our Customer Sales Advisors are the heart and soul of the company. You’ll be the primary point of contact for customers inquiring about TDS products and services and will help customers get what they want and need. To do your job, you have to be willing to learn all the features and benefits so you sell what you know. You’ll also have to keep current on all pricing, procedures, promotions, tools, and systems used to place orders, update billing and maintain a record of customer contacts—but we have the systems to make this part a piece of cake. In addition to base pay and an excellent benefits package, you’ll have monthly sales goals established for key strategic products such as Voice, High Speed Data, TV, and Internet content. When you meet these goals and maintain customer service quality expectations you’ll qualify for additional commission and incentive programs. So what are you waiting for? We’ve been around for 45 years and are a family-run company with a history of success—you can find your own success here too! For more information about this opportunity, take a peek at the job description and details.